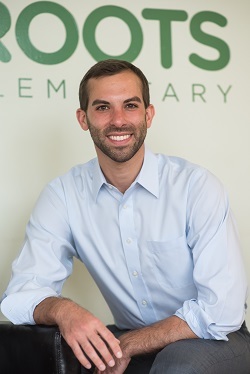 Roots ED and Founder, Jonathan Hanover, shares the process for scheduling student and teacher time. Transcript: Jon Hanover: we built an app that basically allows our habits of success coaches in partnership with scholars to basically plan out their – what we call their playlist where it's their kind of rotation of self-directed work that they do. So, you know, it might be going to the maker's space and doing our design challenge with Legos going to the library and doing leveled reading, going to the iPad center and working on ST math, et cetera, et cetera. The kind of list of self-directed activities that kids engage in. And then what the app does which is kind of simple – it's very simple logic, but it saves all of the – some of the early pioneers in personalized learning struggled with the, just like, how do you just like, reconcile everybody's schedule on a nightly basis, right? So this basically just says if there's something on my calendar, show me that, 'cause a teacher has scheduled me for a lesson, and I need to go to it. If there's nothing on my calendar, show me whatever's next up on my playlist of self-directed work and I'll engage in that.